Assailants beat worshippers with bricks, open fire on them. 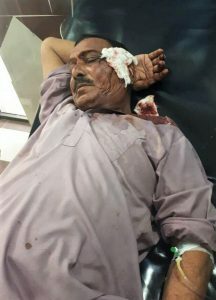 LAHORE, Pakistan (Morning Star News) – At least seven Christian worshippers were injured in an armed attack by local Muslims on a church service on Sunday (March 18) in southern Punjab Province, Pakistan, the church pastor told Morning Star News. Pastor Haleem Feroze Masih of the King Jesus Church in Burewala, 155 miles (251 kilometers) southwest of Lahore, said he was leading the service when at least 15 local Muslims led by Muhammad Sharif entered the church compound around 1 p.m. and attacked the congregation. The attack was preceded by a clash outside the church building. Last Christmas, Sharif had installed a sign on the wall in front of the church building in Burewala’s New Christian Colony congratulating the congregation on the holy occasion, but church members later noticed that it contained photos and phone numbers of Sharif, his sons and others, Pastor Masih said. “Suspicions also arose when these Muslim youths started hanging out near the church during service timings and began teasing our girls,” he said. Pastor Masih said that he and other church elders spoke about these matters with Sharif and the other Muslims “a couple of times,” but they refused to take down the sign or stop their young men from harassing the Christian women. On Sunday (March 18) church elders tried to replace the Muslims’ sign with their own, but Sharif’s sons stopped them, he said, adding that the property belongs to a Christian. “The elders tried to reason with the youths, but it seems that the Muslims intentionally wanted to pick a fight with us,” he said. The Muslims snatched the church’s sign and tore it into pieces, Pastor Masih said. “One of our church elders told the Muslims that they had desecrated biblical verses inscribed on the flex sign, to which they responded that, ‘We are bigger than your Jesus,’” he said. The Muslims stormed the church compound and began beating church members with batons and bricks, he said. Pastor Masih said the assailants even attacked police when officers arrived. “They also pelted stones at the police, but the policemen managed to arrest Sharif, his sons and another unidentified man from the spot while the others fled along with the weapons,” he said. On Masih’s complaint, Burewala City Police registered a First Information Report (FIR No. 126/18) against 10 Muslims, including Sharif, three of his sons and 11 others for rioting with a deadly weapon (Section 148 of the Pakistan Penal Code), unlawful assembly in prosecution of a common object (Section 149) and acts intended to outrage religious feelings (Section 295-A), among others. The pastor said that the area housed around 200 Christian families, and that there had been no incident of religious persecution there before. The accused Muslims are trying to register a counter-FIR against the Christians, but police have so far declined to do so, he said. Bishop Abraham Daniel of the Baptist church in Sahiwal told Morning Star News that he and other church leaders had managed to defuse the situation by holding negotiations with the area’s influential Muslim leaders and government officers. “The police have assured us of providing security to the area’s Christians and of proceeding against the accused Muslims in accordance with the law,” he said. 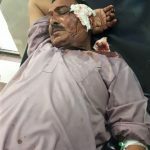 Earlier this month, Muslims injured five Christians as they helped to build a boundary wall around their church building in Yousafwala village, near Sahiwal about 111 miles (180 kilometers) southwest of Lahore. 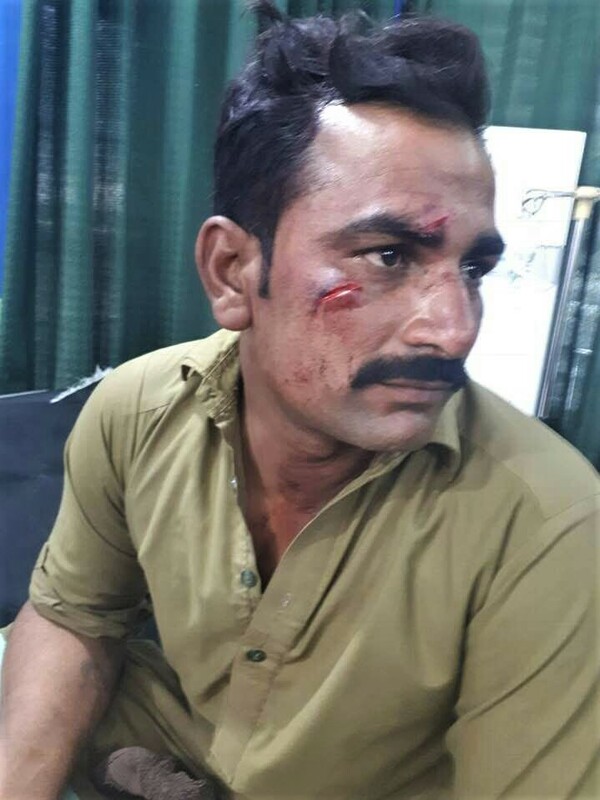 On March 4 around 20 Muslims armed with batons and axes reportedly attacked the church members as they built the wall ahead of a Sunday morning service. The Christians had reportedly obtained the land three years ago from the government, but a local Muslim landlord claimed it belonged to him, and the two sides had often quarreled over the issue. Besides attacking Christian men, the Muslims also reportedly beat women and tore their clothes. 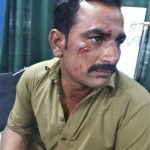 Separately, on Feb. 23 several Christian families fled their homes in Faisalabad, also in Punjab Province, after a Muslim family affiliated with the Islamist outfit Tehreek-e-Labbaik Ya Rasool Allah (TLYR) filed a blasphemy case following an armed clash with one of the Christian families. Six Christians were initially arrested under blasphemy charges, but the matter was resolved with the intervention of top religious and political leaders from both sides. Pakistan, which is about 96 percent Muslim, is ranked fifth on Christian support organization Open Doors’ 2018 Word Watch List of the countries where it is most difficult to be a Christian.